As the saying goes, “A change is as good as a rest”, although there’s not much rest for Gavin Pearson, Head of Conveyancing at MOV8 Real Estate … at least not at work! After over 20 years working in traditional law firms, primarily focusing on the residential property sector, Gavin felt it was time for a change. He joined MOV8 in November 2018 and now, four months on, he tells us why he made the move to MOV8 and how his first few months have been. Gavin joined MOV8 as Associate Solicitor in a new role within the legal team. The legal side of MOV8’s business was established in 2015 so it is at an exciting stage in its development. 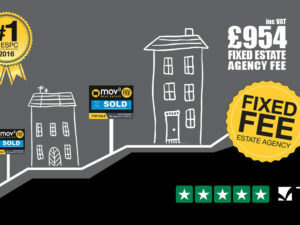 When Gavin joined MOV8, the estate agency focus was primarily on east central Scotland, however now the business has expanded to cover the whole of Scotland and, as the estate agency grows, so does the legal team. Gavin enjoys working in an environment where there are different areas of the business under one roof. There is a strong team culture at MOV8, everyone working together across the business which increases efficiency and, hopefully, work satisfaction. Gavin has a wealth of technical knowledge and is motivated by a desire to deliver the best possible service to clients. 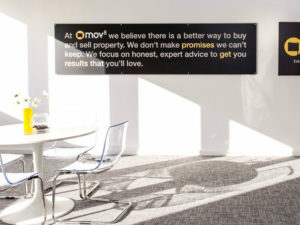 In his role as Head of Conveyancing, he is committed to continuing the growth and development of MOV8’s legal team. It’s a busy department, dealing with an increasing number of cases as the business grows. Gavin’s role is hands-on, focusing on legal property work for purchasing and selling clients, including ‘missives’ (the buying or selling contract), transfer of funds and the settlement process, as well as supporting colleagues with their work and training and development. Although some of the work may seem routine, it requires technical expertise and the ability to resolve issues, sometimes working to tight deadlines. Ultimately the conveyancing team represents the client throughout the process of their property transaction. 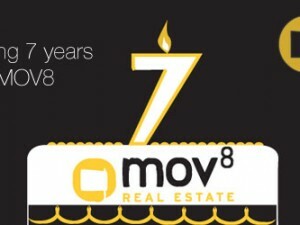 So far, the change has certainly proved to be worthwhile for Gavin and he seems to relish the challenges that MOV8 provides – after 2½ months at MOV8, he became the Head of the Conveyancing Department. When not at work, Gavin enjoys spending time with his family and has a wide range of interests including running, cycling and hillwalking … that may not sound ‘restful’, but in his case change does seem to be as good as a rest! For more information about MOV8 Real Estate’s conveyancing services and how we can help you with your home purchase or sale, please get in touch with our Conveyancing Team by calling 0131 297 7999 or by emailing [email protected] and we will be happy to help.